What Are The Top Rated Security Cameras Available Today? 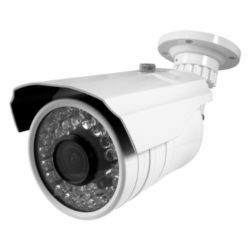 If you are looking for the top rated security cameras that are on the market today, don’t worry we have you covered. 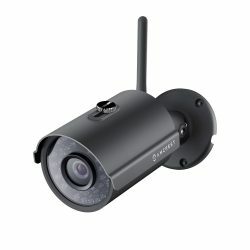 Out of the hundreds of available cameras available right now on Amazon.com and other retailers, we have narrowed it down to 5 great options for any home or business owner needing only the very best there is in security cameras. If you need to know if everything is ok while your away, or if you left the garage door open, or if your kids are home from school yet, then do it with the Amcrest ProHD camera. This camera truly lets you be in two or more places at once through the incredible technology it offers. This camera is capable of taking stunning Full HD 1080P Video at 30fps. You can record and playback video using an Amcrest or ONVIF NVR, FTP, or Blue Iris system. You also have the option to store for free up to 4 hours of video to Amcrest’s Cloud Video Recording service. This makes it very easy and convenient to access recorded video from anywhere and anytime even on your mobile device. The camera communicates via WIFI and with the Quick WiFi Setup via iPhone or Android Smartphone using the Amcrest View App (Which is included) you should have your camera running and recording video in no time. The Amcrest app lets you seamlessly Stream Video Directly to Your Smartphone, Tablet, Apple Mac or Windows PC. If the fact that this HD camera is wireless is not enough, it also provides a remarkable Field of View with a stunning wide 72 degree, Viewing Angle. Add to this an Intelligent Digital Zoom, and IR LED Night Vision Up with a range of up to an amazing 98 feet. The Amcrest ProHD also allows you to stay in touch and always know what’s going on when your not there with Intelligent Motion Alerts, Email Alerts/Snapshots of video which helps to give you peace of mind. This camera is CE and FCC certified as well as UL compliant and comes with a 10-foot power supply. A Full 1-Year US Warranty and Lifetime Support is provided directly from Amcrest. If you need a security camera that packs a punch but don’t want to be punched by the price then you have to consider the Best Vision BV-IR140-HD Security Camera. The camera comes with a 1/3″ 1000 TVL image sensor that puts out true HD analog video no matter where you place it. With its 2.8-12mm lens, it has the ability to provide a wider and larger viewing area. One of the best features of this camera is its night vision capabilities. This little baby gives you up to 164ft IR range with superior video quality even in complete darkness. This is one of the highest ranges from a night vision home security camera that we have seen so far and is a plus for those needing top-notch night vision security. The camera comes with an outdoor IP66 rated housing made to withstand even the toughest weather conditions. Unlike many other cameras we have tested, you’ll have no problem having optimal picture quality no matter the lighting condition due to its Back Light Compensation (BNC) feature. You simply can’t go wrong with the Best Vision BV-IR140-HD Security Camera. Not only does it provide excellent quality advanced features, but you get so much for such a low price that is just hard to beat. 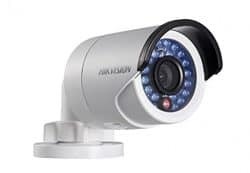 Even though Hikvision is one of those brands that many have no heard of hardly, but that doesn’t hinder them from delivering a top notch camera. The DS-2CD2032 will certainly deliver reliability, a great picture and overall high quality. First of all, you will have to pick up a 12 VDC power adapter for the camera as it doesn’t come with one which is a downside, but is certainly not a deal breaker. Mounting the camera is a pretty simple process and you can have the camera up and running in a matter of minutes. The mounting bracket itself is a lot higher quality than most IP cameras. Once the camera is mounted you are able to loosen the ring that holds the actual camera in place and aim it appropriately. The camera comes with an IP66 weatherproof rating which means it’s rated as “dust tight” and protected against heavy rains and thunderstorms. It also performs very well in very cold and warm weather conditions. The camera come with a fixed IP address of 192.0.0.64. If you are run the software that the camera comes with to locate the camera then you may need to disable any firewalls running on your computer. If the SADP software doesn’t locate the camera, then make sure you have the latest version of WinPCap installed which you can Google it and download it for free. 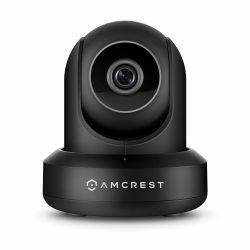 There is a reason why Amcrest has made it to the top of the security camera industry and that is due to their innovative approach to the surveillance along with the high quality that’s put forth into their products. The Amcrest ProHD Wi-Fi video camera is built for you to stay in touch with the ones that matter the most in your life anytime, anywhere. The camera is intutive and from our experience you should be up video streaming in no time. With the Amcrest View app you will have access to streaming live, playing back recorded video, all in the palm of your hand. Amcrest also provides an optional cloud service with free live viewing and four hours of free video storage that is accessible from Apple Mac, Windows PC, iPhone, iPad, and Android devices. This camera is also capable of recording video to an internal MicroSD card (not included), upload video to an FTP site, as well as record video straight to any Amcrest or any ONVIF compliant Network Video Recorder. One of the neat features that we were very happy to see is the two-way talk option which is another step further to being on the scene then just watching live video. It also features night vision, remote pan/tilt, an enhanced digital zoom, a 90 degree viewing angle, smart motion alerts, email alerts with snapshots, among other advanced recording options. YI is a fairly new player in the security camera and security landscape. 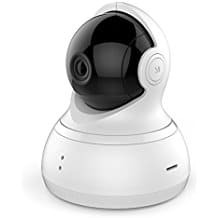 Although new, the company is packing a big punch with the products they are putting out and the Dome camera IP Surveillance Camera is no exception. This camera has all the bells and whistles that a user would ever want starting with it’s quite impressive 360° coverage using a 112° wide-angle glass lens, 345° horizontal and 115° vertical rotation range. The camera also captures Complete Panoramic scenes in 1080p High-Definition with practically no blindspots whatsoever. This is quite impressive for a camera like this to say the least. The YI Dome camera has an Auto-masking mode. This means that the lens goes under cover automatically to give the user an extra sense of security in order to ensure that there is no recording without permission when the camera is not in use. Nevertheless, Smart features such as motion tracking, auto-cruise, and a bookmarks make it possible for nothing to get by this camera. The camera also comes with a quite impressive supercharged 2-way communication system. The user is able to connect with someone in the vicinity of the camera using both audio and live video to communicate. Responsive and advanced microphone featuring a built-in anti-noise filter reduces latency and enables a smooth conversation. This allows for you to never miss a moment while you’re away. The camera also comes with an intuitive navigation system that allows users to experience any room the camera is placed in a 360° view anytime without lifting a finger. These type of viewing capabilities that far beyond most cameras today. By simply panning a mobile phone left and right, a complete panoramic view will be displayed to optimize the user’s viewing experience. Tilt and zoom is also available in this view. Buy using the mobile app that YI provides, you can receive real-time notifications whenever motion is detected. Other options provided by the app are Auto-Cruise, Bookmarks, Camera Sharing, Customize Schedules, and more. The system allows you to have total control of the camera no matter how many you have installed. Overall: The camera is quite a steal for the price and options it comes with. It’s advanced user-friendly technology far surpasses many cameras of today but at a fraction of the cost. There are some many great cameras on the market right now and it is tough to single one out because it really comes down to the user’s needs. All these cameras have their pros and cons, but if we had to choose one out of the 5 it would have to be the YI Dome Camera Pan/Tilt/Zoom Wireless IP Security Surveillance System. Even though this camera is fairly new, this company is doing good things and doing them right. We chose this camera for the fact that it gives so much value while not breaking the bank. For more information on security cameras and other info click here.